Have you ever wondered how a magnet is made? In this activity, you will turn an ordinary nail into a temporary magnet. You will then use the Magnetic Field Sensor to compare the temporary magnet that you made with the permanent magnet you used to make it. After you are done, you will use the temporary magnet to pick up a paper clip. Make observations about the magnetic fields of objects. Use a permanent magnet to make a temporary magnet. 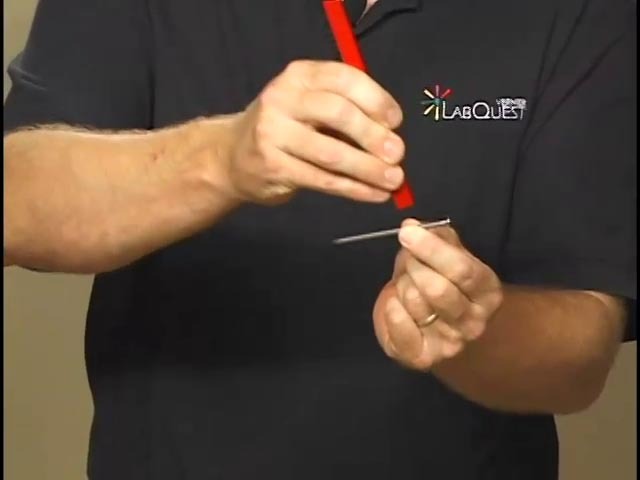 Use a Magnetic Field Sensor to measure the magnetic field of magnets. Look for relationships between the permanent magnet and temporary magnet.